While in London, a friend arranged for my wife Marlene and me to visit the Sky Garden. On the top floor of a thirty-five-story building in London’s business district, the Sky Garden is a glass-encased platform filled with plants, trees, and flowers. But the sky part captured our attention. 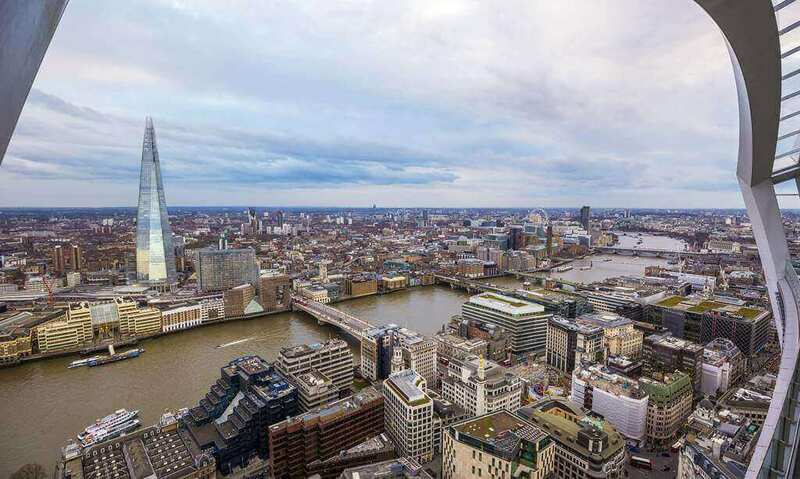 We gazed down from a height of over 500 feet, admiring St. Paul’s Cathedral, the Tower of London, and more. Our views of the capital city were breathtaking—providing a helpful lesson on perspective. Our God has a perfect perspective of everything we experience. The psalmist wrote, “For He looked down from His holy height; from heaven the Lord gazed upon the earth, to hear the groaning of the prisoner, to set free those who were doomed to death” (Psalm 102:19–20 nasb). Like the hurting people pictured in Psalm 102, we are often locked into the present with its struggles, “groaning” with despair. But God sees our lives from beginning to end. Our Lord is never caught off guard by the things that can blindside us. As the psalmist anticipated, His perfect perspective will lead to an ultimate rescue that sets free even those “doomed to death” (vv. 20, 27–28). In difficult moments, remember: We may not know what is coming next, but our Lord does. We can trust Him with every moment that stretches before us. Focusing on Christ puts everything else into perspective.